Researchers from Massachusetts Institute of Technology have devised a technique that can trap hard-to-detect molecules which include rare proteins and viruses using nanotubes in a “forest” like arrangement. Engineers have modified a microfluidic channel with vertically aligned Carbon nanotubes (rolled lattices of carbon atoms that resemble tiny tubes of a hollow poultry net). Each such nanotube is coated with multiple layers of polymers. This whole system resembles a forest where the thickness of the nanotube determines the porosity of the medium, which is used to trap the particles. 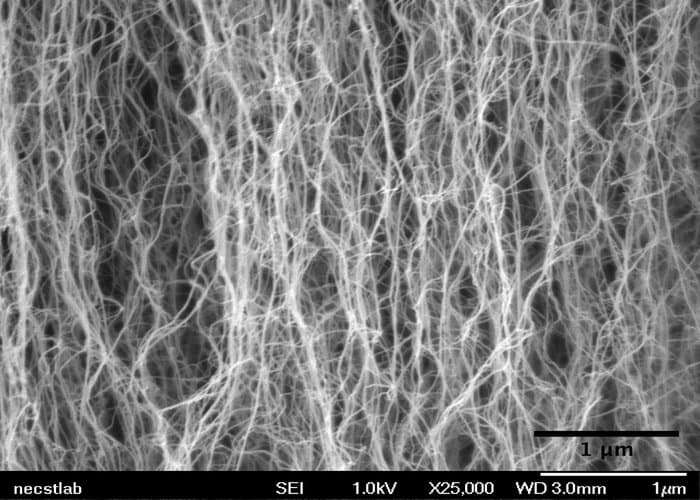 Previously, the team had developed a method for erecting carbon nanotubes on their ends, like trees in a forest. With the help of the method, they created a 3D array of permeable carbon nanotubes within a microfluidic device, through which the fluid can flow. According to the paper published in the journal at Journal of Microengineering and Nanotechnology, the team has coated the array of nanotubes with multiple layers of polymers of alternating charge. Brian Wardle, professor of aeronautics and astronautics at MIT, confirmed that the system structure has a physical analogy with the rings on a tree trunk if the cross section is drawn. The team placed a 3D array of versatile carbon nanotubes into a microfluidic device with the help of the chemical vapour deposition method and photolithography to grow and pattern carbon nanotubes onto silicon wafers. 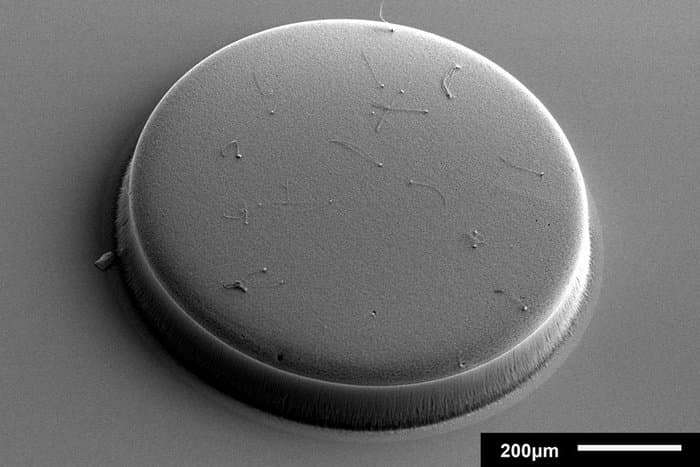 After this, the nanotubes were clubbed into a cylinder-shaped forest, measuring about 50 micrometers tall and 1 millimeter wide, and the array was centred within a 3 millimeter-wide, 7-millimeter long microfluidic channel. The Carbon Nanotubes were coated with an alternatively charged polymer solution which creates distinct, binding layers around each nanotube. The deposited coating in the forest can be suitably modified to trap only specific bioparticles flowing through the forest. To test the theoretical backbone of the process, they experimented with an established technique to treat the surface of the nanotubes with antibodies that bind only to prostate specific antigen (PSA).The polymer coated arrays captured 40 percent more antigens than the ones without coating. Wardle claims that the combination of carbon nanotubes with multilayer deposition might be very effective to capture very small particles which are currently inaccessible to medical-test devices such as microfluidic chips. Carbon nanotubes have undergone extensive research due to their exception mechanical, electrical and optical properties. Researchers explained that this configuration was the their ideal choice as it could be manipulated tot trap only target specific nano sized particles. When the fluid flows through the device, it scans millions of unwanted particles and finally finds the particle of interest. Moreover, these Carbon nanotubes(with 1% air and 99% Carbon), provide a much larger surface area for the target molecules to interact, in comparison to a 2D structure. Wardle is hopeful about the future prospects of Carbon nanotubes ,where they would be able to identify a particular molecule by keeping the size of the bioparticle as the target parameter. The present research may provide a major breakthrough in detecting important bio molecules.